Exactly one month ago, I wrote about how the manufacturers of drugs like Levaquin, Cipro, and Avelox are trying to prevent the various lawsuits against them from being consolidated. These lawsuits, which allege that certain antibiotics led to nerve damage, are now poised to become Multidistrict Litigation (MDL) if plaintiffs receive formal approval. There has been a shift from the tendon injury claims to those involving peripheral neuropathy. These cases are just getting off the ground. There is an MDL as of December 2017with 93 Bayer cases are still pending. 205 are Bayer only, while 88 are combination cases. A few of my blog posts have mentioned the litigation involving antibiotics referred to as Fluoroquinolones. 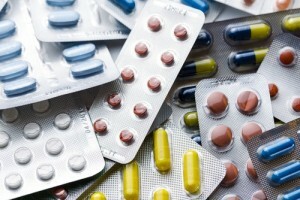 These antibiotics have been linked to serious nerve damage, which can continue long after use. The sheer volume of lawsuits involving these antibiotics is expanding by the week. Currently, there are 59 different cases involving Fluoroquinolone side-effects making their way through the federal court system. What makes that number impressive is that there were only about half as many around two months ago. The plaintiffs in these cases requested consolidation a few months ago. Specifically, they would like to bring the cases before one judge as an MDL for pretrial activities. This is a helpful way to consolidate discovery along with other procedural matters, which, in turn, cuts down on the costs of litigation for the plaintiffs. It is ultimately up to the U.S. Judicial Panel on Multidistrict Litigation (JPML) as to whether the plaintiffs’ request will be granted. They will hear oral arguments in San Francisco on July 30th. The original request for consolidation went before Judge David Herndon in the Southern District of Illinois. When that request was filed, there were around 24 separate lawsuits pending in 16 separate Courts. They all involve substantially similar claims: the manufacturers of Fluoroquinolones did not give consumers and doctors adequate warnings regarding the potential for long-lasting and debilitating side effects. Last month, the manufacturers opposed the What is a motion? (of course), raising the argument that there are too many different drugs at play here. This would, supposedly, make pretrial proceedings more difficult and confusing for the different actors at play. Maybe this is the case, or maybe the manufacturers just want to milk the plaintiffs for every dollar they can spend in discovery. Your call. Chances are, if you are still reading this post, you know what is going on here. But for our new viewers, here is some background on why this litigation is going down. Back in 2004, the manufacturers of Avelox, Cipro, and Levaquin warned people that nerve damage was a potential side effect of their drugs. Specifically, the main side-effect is a condition called peripheral neuropathy. This condition causes weakness, numbness, and pain throughout various parts of the body. After 2004, the FDA stepped in, addressing the dangers posed by the drug. Specifically, while the manufacturers tiptoed around the potential issues, claiming that the potential for nerve damage was minor, the FDA took a more hardline approach. They warned that Fluoroquinolones could lead to the severe problems listed above, but those problems also had the potential to last long after patients stopped taking the drugs. Things are different now, but it may be too late for some patients. In 2015, whenever a doctor prescribes one of these drugs, they are compelled to warn their patients about the potential for peripheral neuropathy. This was previously not the case. Hopefully, new patients can have the opportunity to make an informed choice about the drug; something previous patients were not so lucky to have. That is what these cases are about. No one is saying these drugs should have been recalled. But we are saying that doctors and consumers should know the risks and be able to make informed choices. We are big boys and girls. We know the harm that can be caused by drugs. But we should know what those risks are so we can make the best possible choice. Our firm is looking at these class action type claims. We like seeking justice and compensation for people who have been wronged by companies like these. If you want to discuss your options, call us at 800-553-8082 or get a consultation for free online.